The Pro Arte Series 45 Sablesque Blended Mop brush is made from a satisfying blend of synthetic and natural animal hair, all finished in a traditional wire mop style. 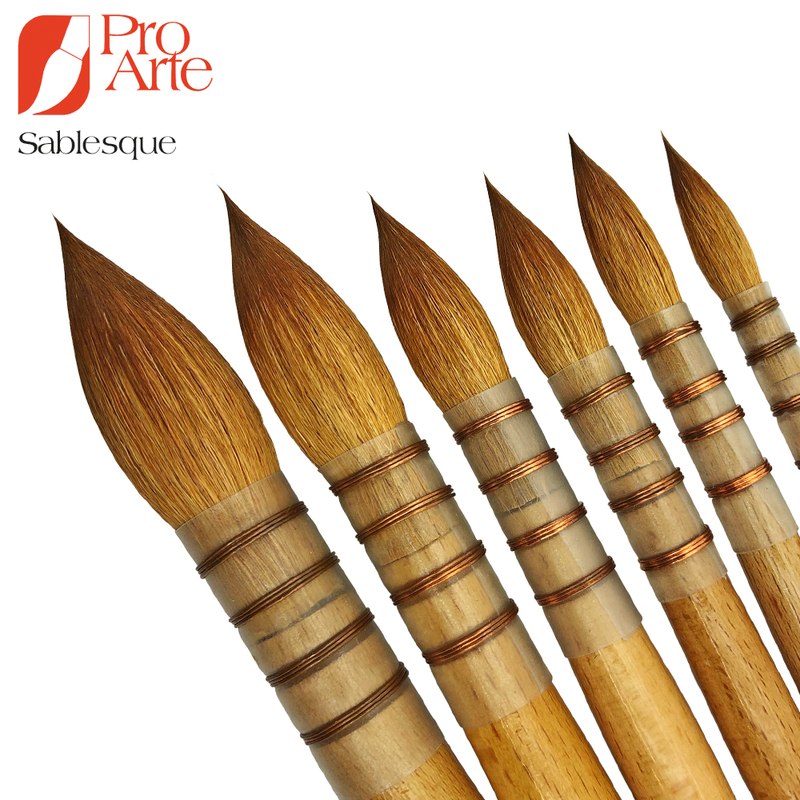 As prices of animal hair increase, Pro Arte sought to make a brush with the performance of a natural hair brush but with alternative materials. Made with a perfect blend of natural and synthetic hair, this brush gives the performance of a sable but with the durability of a synthetic. It looks like sable, feels like sable and works like sable! Now available in 8 sizes from 3/0 to 10.